The law governing international child abduction is governed by the Hague Convention. Kelly Russ is a Vancouver Hague Convention Lawyer and has litigated cases involving the Hague Convention. See: Medina v. Pallett, 2010 BCSC 259 (CanLII). Canada is a signatory to the Hague Convention on the Civil Aspects of International Child Abduction (the “Convention”). The Convention is incorporated into the law of British Columbia under section 55 of the BC Family Relations Act. The Convention establishes a procedure for facilitating the return to their home states of children who have been wrongly removed to, or wrongfully retained in, contracting states (signatories to the Convention). Under the Convention, the removal or retention of a child is considered wrongful (illegal) if it is in breach of rights of custody under the law of the jurisdiction in which the child was habitually resident immediately before the removal or retention, and those custody rights were actually exercised (Article 3). The definition of “habitually resident” in section 44(2) of the BC Family Relations Act is not applicable in proceedings under the Convention. Habitually resident is not defined in the Convention, and determination of whether a child was habitually resident in a specified state at the time of the removal or retention is a question of fact to be decided by reference to all of the facts and circumstances in each case. The relevant considerations are the actions and intentions of the parties, as well as the situation and lifestyle of the child, which reveal whether the intention is that the child remain resident in the specified state for the foreseeable future. The length of time a child has been resident in the specified state may be relevant, but it is not necessarily determinative of the issue. The specified state may become the habitual residence of the child through the actions and intentions of the parties within a relatively short time. A key question is: Has the child resided in the specified state with a sufficient degree of continuity to be properly described as settled? A Petitioner was not exercising his/her custodial rights at the date of the alleged wrongful removal. (b) “rights of access” shall include the right to take a child for a limited period of time to a place other than the childs habitual residence. Article 5 is a more wide-ranging concept than the domestic concept of custody; it is inclusive rather than exclusive, and it includes “rights relating to the care of the person of the child and […] the right to determine the child’s place of residence”. 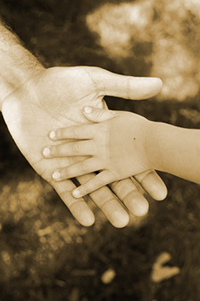 Rights of custody under the Convention include joint custody. A person seeking the return of a child to that child’s home state under the Convention need not have a custody order. A child may be ordered not to be returned if there is a Grave risk of harm: this occurs when a child’s return would expose the child to physical or psychological harm or otherwise place the child in an intolerable situation. Another ground for non-return is potential violation of basic Human Rights: if the state to where the child would be returned does not respect the fundamental principles of the protection of human rights and fundamental freedoms, then the child may not be returned. Another argument is the non-exercise of custodial access rights: Where the parent who is applying for the return of the child was not exercising their rights with the child at the time of the alleged wrongful removal or retention. Only acts that constitute a clear and unequivocal abandonment of the child will constitute a failure to exercise custody rights, which may be sufficient to defeat an application for return under Article 13. Another argument is a one year delay: Where proceedings are taken after more than one year of the removal or retention of the child, the Court may refuse to return the child if it is demonstrated that the child is now settled in their new environment. Under Article 12, a court may refuse to order the return of a child to his or her home state if more than one year has elapsed between the wrongful removal or retention and the commencement of the application for return, and it has been demonstrated that the child is now settled in the new environment. A person attempting to defend against an application for return under Article 12 on the basis that a child is settled in a new environment must produce detailed and compelling evidence of settling in. For such a defence to succeed, more than a mere adjustment to surroundings needs to be shown. It is necessary to show that there is a quality of permanence and long-term stability about the situation. The word “now” in the phrase “now settled in its new environment”, found in Article 12, means the date of the hearing, not the date of the commencement of proceedings.